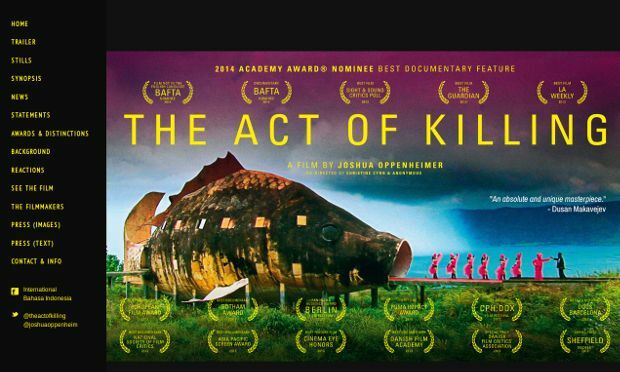 Both “The Act of Killing” and “The Look of Silence” deal with the Indonesian mass killings of 1965 and ’66, when 500.000 people or more were murdered in supposed anti-Communist purges. In “Act,” which was released in 2012, the men who carried out the killings were invited to re-stage them, acting out horrific tableaux in which they are both methodical executioners and screaming victims; in “Look,” Adi Rukun, whose brother was murdered during the purges, confronts the killers himself, often while performing his duties as a traveling optometrist. Joshua Oppenheimer’s methods were born of practical necessity: filming survivors old enough to remember the purges firsthand would have placed them in grave danger, since the perpetrators and their political heirs have held sway Indonesia ever since. So instead, Oppenheimer found a way to film their absence, to make visible the country’s decades-long denial. The film have served the function of conventional activist documentaries, opening a long-overdue dialogue in Indonesia itself and directing attention to the survivors.